Each year, the Rock & Roll Hall of Fame honors rock music's pioneering figures during a prestigious black-tie ceremony. As the Hall of Fame enters its third decade, it's these singular induction ceremonies-featuring the biggest names in classic rock from the '60s, '70s and '80s-that have become nearly as epic as the artists they celebrate. 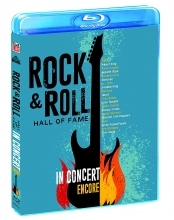 This 2 Blu-ray Disc set features poignant reunions, moving and often hilarious induction speeches, and 44 iconic performances. * The legendary Canadian power trio Rush performing fiery classics Tom Sawyer and The Spirit of Radio for their fervent fans. * Red Hot Chili Peppers leading a searing all-star jam session of Higher Ground anchored by Slash and Ron Wood. * Heart going Crazy on You before being joined onstage by fellow members of Seattle rock royalty from Pearl Jam and Alice in Chains. * Alice Cooper ripping into ferocious versions of Eighteen and Under My Wheels before closing the set with Rob Zombie on School's Out. * The Hurdy Gurdy Man Donovan is joined onstage by John Mellencamp for a chilling performance of Season of the Witch. The editorial review only highlights a few of the included 44 performances but it's assumed that Rush's entire induction will be included, including Dave Grohl and Taylor Hawkins' speech and the band's acceptance speeches (especially Alex's infamous blah speech). We should be able to confirm this once a complete tracklisting becomes available. The video will be released this coming Friday, September 21st and can be pre-ordered now as 2 Blu-ray discs or on 4 DVDs (Blu-ray, DVD). 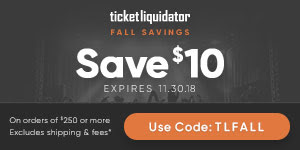 LouderSound.com is conducting an online poll to determine the greatest guitarists of all time (thanks RushFanForever) in the lead up to World Guitar Day on Saturday September 29th. Alex Lifeson is one of the many guitarists listed in the poll, so go vote for Lerxst! Former Rush producer Rupert Hine was interviewed for the Hustle podcast a few months ago (thanks RushFanForever), and at one point he talks for about 10-15 minutes about his involvement with Rush as producer on their Presto and Roll the Bones albums. He discusses his reluctance to work with the band at first, working with Geddy Lee on his vocals, the band's intelligence and sense of humor, Neil Peart's drumming, and more. You can listen to the podcast at this location and the Rush bit comes in during the 3rd hour at about the 2:14:05 mark. Ahead of Sept 12th I want to be first to wish a big happy birthday to my brother in arms and rhythm section partner for over 42 years - Cheers Peke! and for those of you that think he's the "serious" one.. well, au contraire! This past Sunday, September 9th was also Neil and his wife Carrie Nuttall's 18th wedding anniversary. They were married back in 2000. Cycle World posted this great piece on Neil Peart in celebration of his birthday, focusing mostly on his motorcycling exploits. Coincidentally, a member of the Baltimore Ravens' marching band became an internet sensation this past week, when he was caught on camera air-drumming to Rush's Tom Sawyer as seen in this video. The video along with Neil's birthday inspired Boston's WROR to feature a list of 7 Outstanding Classic Rock Drum Fills this past week. That's it for this week. Have a great weekend everybody! !